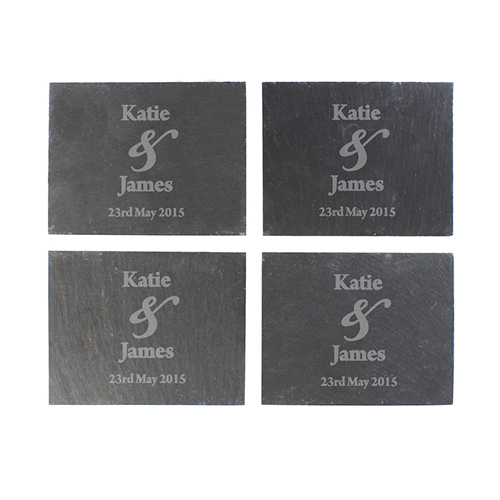 Personalise this Four Pack of Slate Coasters with 2 names up to 12 characters each and a date up to 30 characters. The ampersand '&' is a fixed part of the design. If you require the names to be in upper case, please enter them in this way. Personalise with 2 names up to 12 characters each and a date up to 30 characters.